Few gifts capture the heart like beautiful roses, especially a truly original, hand-designed bouquet of six fresh and colorful blooms. 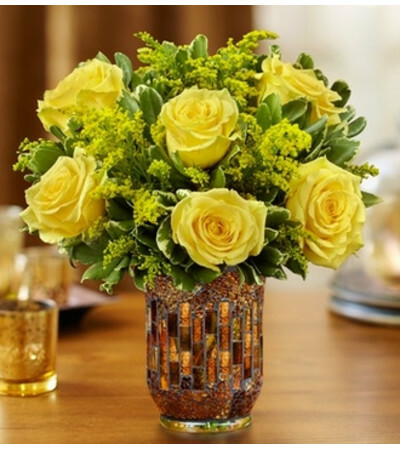 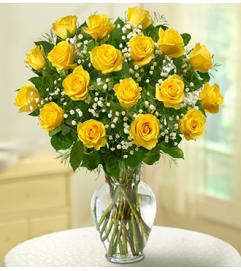 Our florists arrange a half-dozen roses in a reusable amber mosaic hurricane that looks mesmerizing as a centerpiece or as part of any décor. 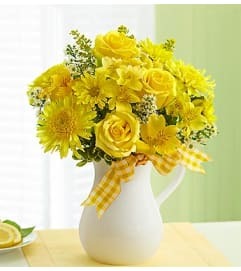 Whichever color rose you choose–red, yellow, white or yellow and white–this bouquet is sure to attract that special someone in your life.